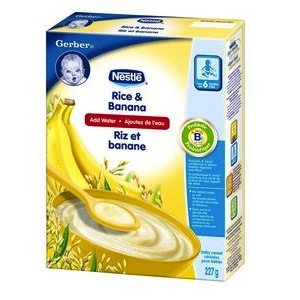 Gerber coupon is a printed coupon available from save.ca. This is a hidden coupon and only available from Gerber’s Facebook page. You can find the coupon here. You have to like Gerber’s Facebook page before you can access the coupon. Visit the Gerber Facebook page, like the page, clip the coupon, create a save.ca account and print your coupon. 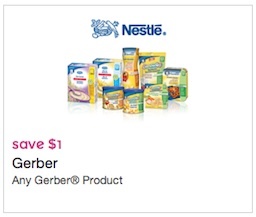 Gerber coupon is to get $1 off any Gerber product. Gerber® Baby Cereals are 100% wholesome. Gerber® Baby Cereals have no added sugar, preservatives or artificial colours or flavours – just 100% wholesome goodness. With every spoonful, your baby’s little body will continue to grow and with each new stage you and baby discover, his little personality will continue to grow as well (the future athletes love to throw things when you’re not looking). So be excited, because starting baby cereal isn’t just a milestone, it’s the first of many, and the start of a future of happy mealtimes!